On Sunday 24th June, the Bill Mansfield Trophy was contested and was won by Tim Bury and Pat Kuenzler in their Merlin. On the day, £50 was donated to Sailability, a charity that supports sailors with disabilities. Banbury Sailing Club is pleased to be able to match this amount so we will send a cheque for £100 to this excellent organisation. The late Bill Mansfield used to successfully sail a Comet at the club, despite losing a leg. His widow, Janet, told us on the day about how Bill was a great supporter of Sailability. Janet takes great pride every year in watching the Bill Mansfield Trophy being contested and telling us about Sailability. 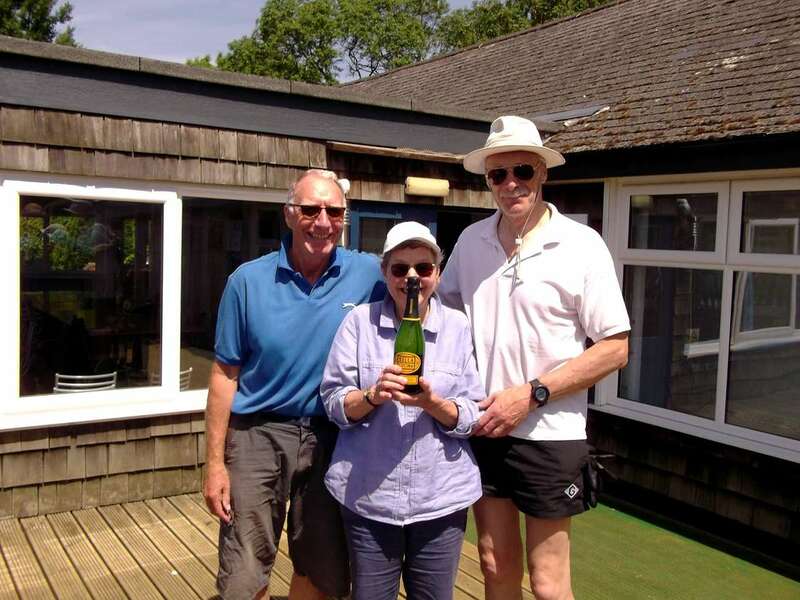 You may wonder why the Bill Mansfield Trophy is not in the picture: Simple answer is that the previous winner has not yet returned it, so we had to award a bottle of Prosecco instead!